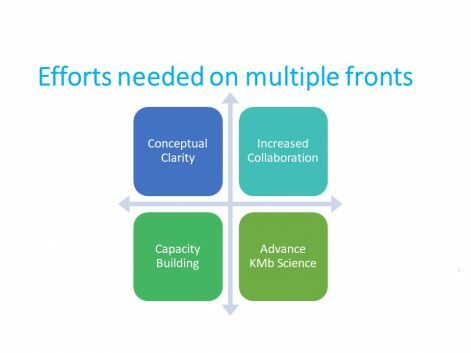 Funders are important drivers of priorities in research landscapes nationally; yet, little empirical work has compared their global roles in supporting and promoting knowledge mobilization (KMb). 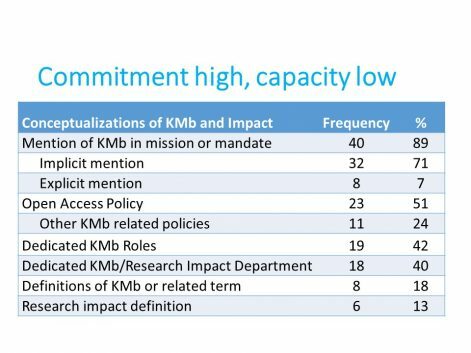 The purpose of this study is to increase our understanding of the KMb policies and practices of social science research funding agencies in OECD and BRIC countries. This study is based on similar work conducted by Tetroe et al. (2008) on knowledge translation activities in applied health funding agencies. Our study provides an environmental scan of 39 Social Science Funding Agencies across 32 countries (Canada, USA, European Union, Australia, & New Zealand). 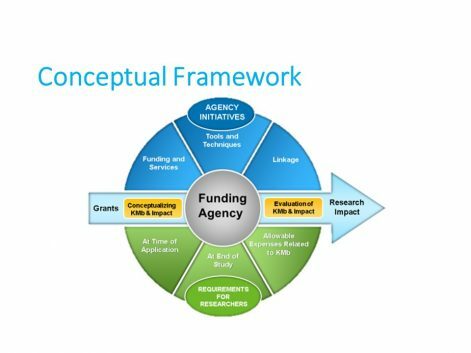 We compared funders across 60 discrete elements organized by three major dimensions: (1) Conceptualizing KMb and Research Impact, (2) Requirements for researchers (At time of application, at end of study), & (3) Agency Initiatives (Funding, Services, Tools & Techniques, Linkage). 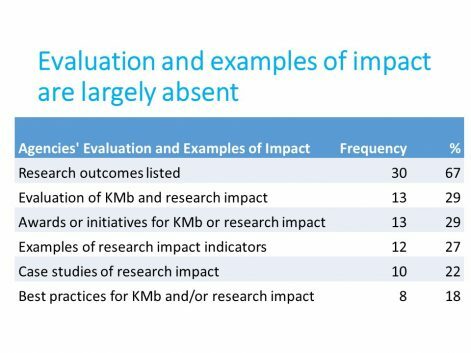 We also explored how they evaluated the impact of their efforts. Spoiler alert: most don't. 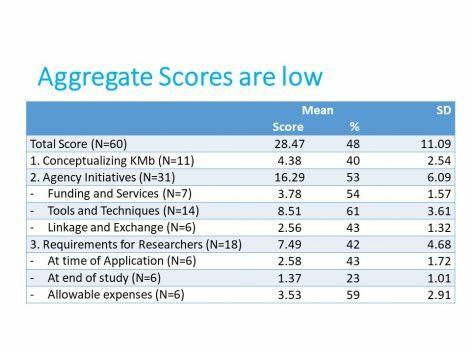 1) Rhetorical Commitment: Most funders (89%) show rhetorical commitment to mobilizing research as shown by their mission statements; however, very few have operationalized that mission through requirements for researchers or agency initiatives. 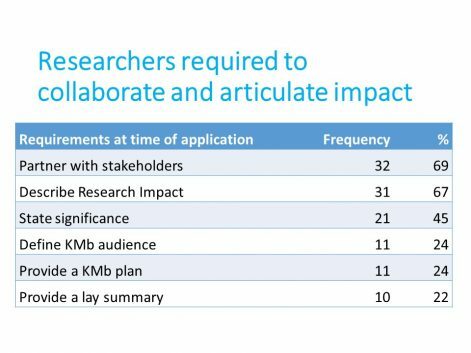 2) Lack of Clear Definitions: Only 8 funders (18%) had definitions of KMb or related terms; only 7 funders (13%) had definitions of research impact. 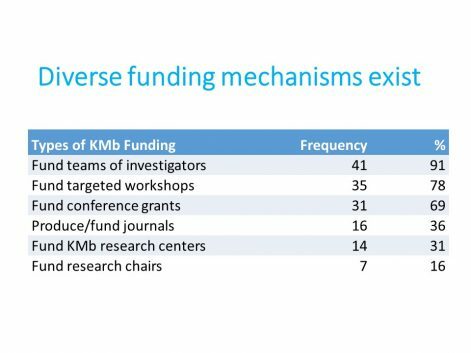 3) Modest Efforts in relation to Supporting KMb & Research Impact: Most funders (N= 34, 75%) scored less than 60% for their overall efforts to support KMb and research impact on the elements we explored. 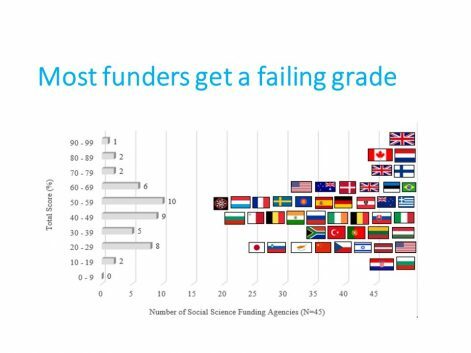 4) Some Funders have Exemplary Efforts: Top scoring agencies including ESRC (UK) topping the list with a score of 95%, followed by SSHRC (Canada) and NWO (Netherlands) both at 83%, followed by Finland 72%, SSRC in US 67%, ARC (Australia) 65%, and DCIR (Denmark) 60%). 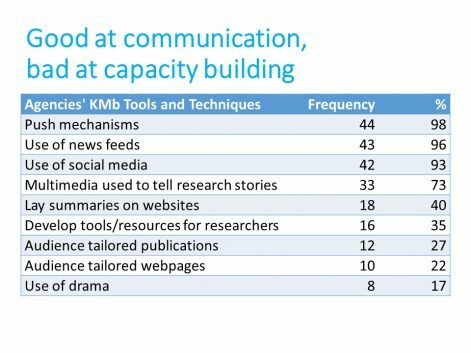 3) More capacity-building, coordinated at funder level, is needed to help universities and researchers meet new demands especially relating to working with non-academic audiences. 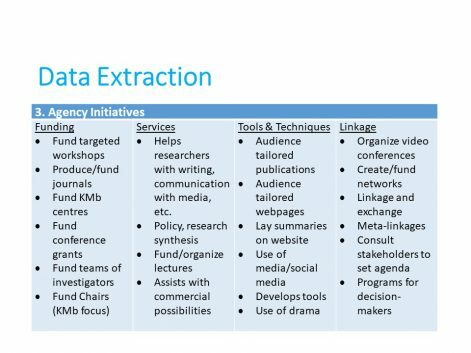 5) Funders could be the hub where the public finds research through databases, stakeholder targeted short summaries, and videos that are created and uploaded with final research reports. Cooper, A. (2017). 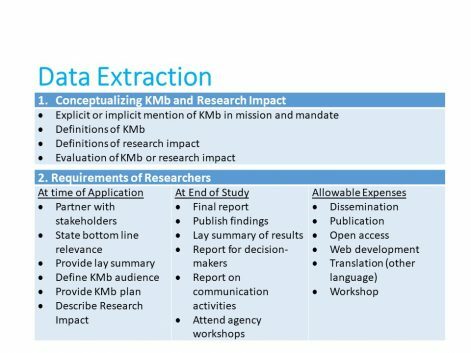 Coding Manual: Social Science Funding Agencies’ Support and Promotion of Knowledge Mobilization and Research Impact – An International Study. Queen’s University, Kingston, Ontario, Canada: A RIPPLE Research Report. Cooper, A., Shewchuk, S. & MacGregor, S. (2017). 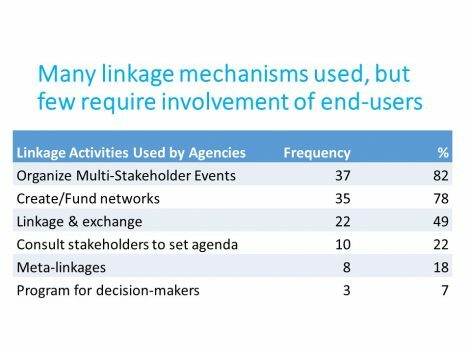 The role of Social Science Research Funders in the Rise of Global Impact Agendas. Paper presented at CSSE, Toronto, ON. Cooper, A., Shewchuk, S. & MacGregor, S. (2017). 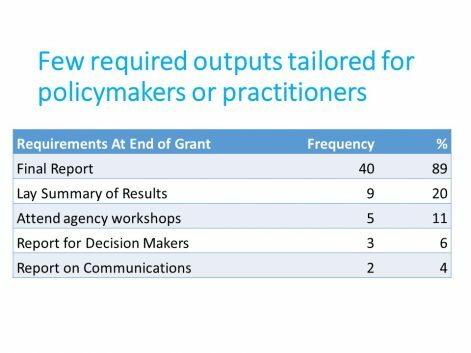 How research funding agencies are shaping the research-practice-policy interface globally: An international study on the rise of research impact agendas. Paper presented at AERA, San Antonio, Texas. Cooper, 2018. 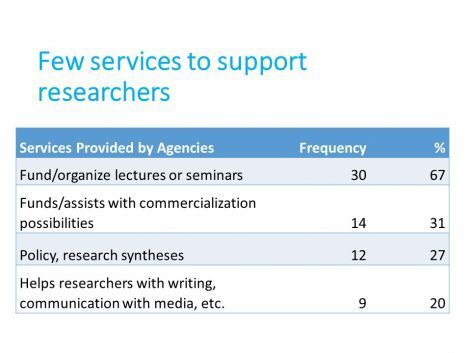 Summary: Social Science Funding Agencies’ Support and Promotion of Knowledge Mobilization and Research Impact – An International Study. Queen’s University, Kingston, Ontario, Canada: A RIPPLE Research Report.